It’s not been a quiet week in Lake Wobegone. But I guess you already know that. The ice came, leaving a trail of devastation wrapped in shiny diamonds. I find it amazing to think that something so beautiful can wreak so much havoc. Throughout the Commonwealth, throughout the city, people woke up on Wednesday to find that someone had turned out the lights and shut down the heat. Susan, the kids, and I found ourselves in that situation. How long? The neighbor said 7-10 days. That’s when the real calculations began. Can we stick it out sitting by the gas logs for a week? Probably not. Should we take the kids and go stay with someone—preferably someone with lights and heat? That’s an awful lot to ask—what with three children and a wife who works third shift at the hospital. What to do? We decided to come to the church. My office had lights. We could stick in a couple of space heaters, which people graciously brought to ease our suffering. The refrigerator worked. The kids could play in the gym. All in all, a pretty good ad hoc living arrangement. In fact, it’s a memory I’m sure my kids will carry with them the rest of their lives. They loved camping out. And Susan and I were happy to know that our family could spend time together and not have to worry about freezing to death. I wish I had something penetrating and incisive to say about our experience. Alas, I don’t. All I can do is attempt to communicate how thankful we are for Douglass Blvd. Christian Church. I’m grateful for all the people who checked on us, who brought food and space heaters to us, who offered us a room in their homes. I’m grateful that I had some place to go when so many folks didn’t. And, I’m grateful that almost 70 folks showed up to worship in a sanctuary that topped off at a temperate forty degrees on Sunday morning. The Lord’s Supper has rarely tasted so good. It’s not much, I admit—not particularly eloquent. But I guess there are some things that defy our inadequate attempts to shrink them down to size, to wrap words around them. 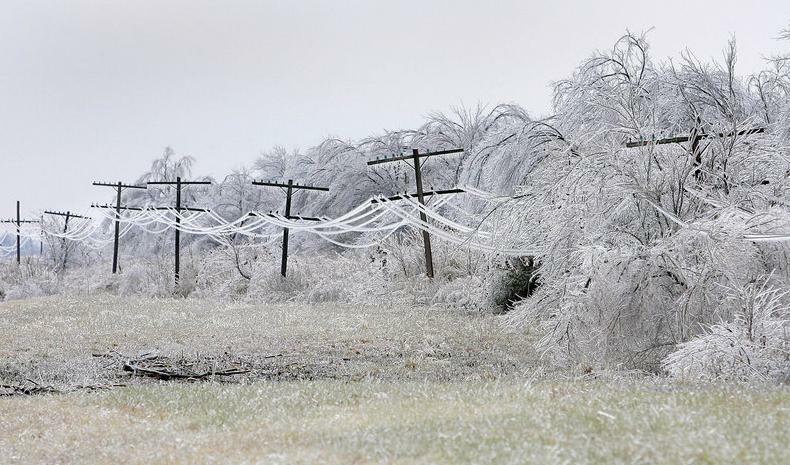 The ice storm of 2009 qualifies as one of them. Our gratitude, I fear, is also one of them. So . . . God bless you. Thanks!